Smartphones and teens. They’re so inseparable they must as well be conjoined twins. As parents, we know by instinct this is not a good thing. Even without the studies that are coming out on this subject. Including the new one that says that smartphone addiction changes the brain. Does the study at least tell us that smartphone addiction changes the brain in a good way? But you knew that already. You knew that in your gut. Now, as much as you might try to persuade your kid to put that phone, it’s going to be a hard sell. Joking aside, researchers have just presented the results of a unique trial to the 103rd Scientific Assembly and Annual Meeting of the Radiological Society of North America (RSNA) in Chicago. 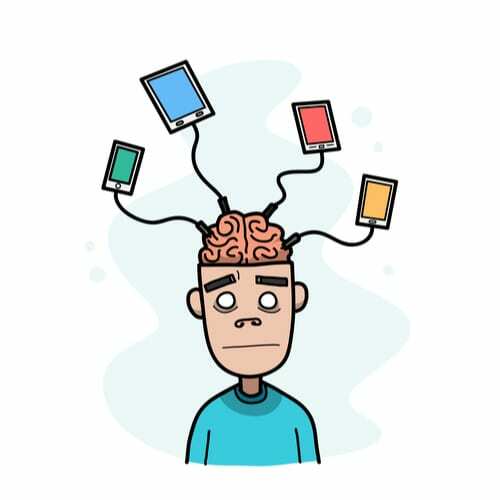 The study found that smartphone addiction causes neurochemical changes to the brain in teenagers. The lead author of the study is Dr. Hyung Suk Seo, a professor of neuroradiology at Korea University in Seoul, South Korea. An earlier study from July 2017, from scientists at Ben Gurion University, Israel, found that those who engage in heavy use of their smartphones, show changes in their understanding of people and social situations (social cognition), have impaired attention issues, and a reduction of activity in the right prefrontal cortex (rPFC). In other words, heavy smartphone use causes changes in the brain. In the newer study, Dr. Seo and his colleagues looked at the brains of those thought to have become addicted to digital technology. The scientists were able to identify addicted smartphone users by having them fill out questionnaires about their technology use. A special kind of MRI called magnetic resonance spectroscopy (MRS) was then used to help the scientists see what was happening to the brains of those addicted to their phones. The questionnaires filled out by participants in the Seo study helped flesh out the picture of just how much the smartphone impacted each teen’s life. The responses showed how much of the day was spent on smartphones; how the smartphone affected a teen’s interactions with other people, face-to-face; how productive the teens were in their daily lives; when and how long they slept, and how these teenagers felt, in general: their emotions. 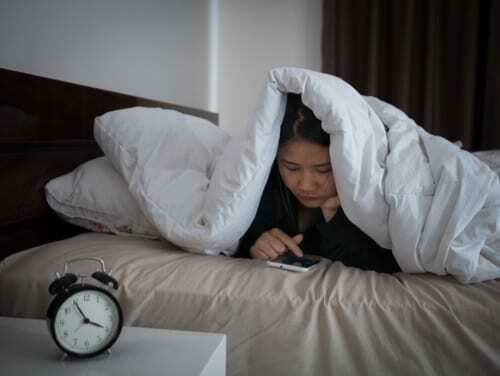 Seo and his team found that teens addicted to smartphones tended to have much higher scores in terms of depression, severe insomnia, impulsive behavior, and anxiety. So, how big a study was this? Was it large enough to be significant? Well, the truth is, it was a small sampling. 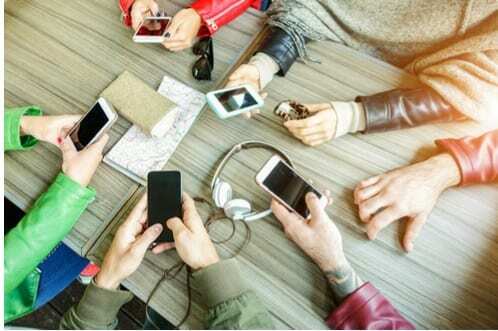 There were 19 smartphone or internet-addicted teens plus a control group of 19 teens, not addicted, who were matched for age and gender with the addicted participants. Of the addicted teens, 12 underwent nine weeks of cognitive behavioral therapy (CBT) that was designed to reduce the addictive behaviors. The addicted teens received MRS brain scans both before and after undergoing behavioral therapy. The non-addicted teens had brain scans just once. What were the researchers seeking? Their specific focus was two neurotransmitters that scientists think may be markers in the brain for different kinds of addiction. One of these neurotransmitter inhibits brain signals. The other neurotransmitter excites the neurons of the brain. Measuring levels of gamma-aminobutyric acid (GABA), an inhibitory neurotransmitter that slows down the rate at which the brain sends signals, was therefore one aim of the study. The scientists also checked the participants’ levels of glutamate-glutamine (Glx), an excitatory neurotransmitter that makes neurons react more to electrical stimulation. The researchers believed that seeing the ratio of these two substances might offer up clues about addiction and in particular, smartphone addiction. In other words, kids who are addicted to their smartphones are making too much GABA. This means there is nothing to keep their brain signals in check, since GABA inhibits brain signals: slows them down. There have been studies that show the effects of too much GABA, which may can cause teens to be drowsy, or conversely, over-anxious. An overabundance of GABA may even affect vision and motor control. Dr. Seo commented that, “the ratios of GABA to creatine and GABA to glutamate were significantly correlated to clinical scales of internet and smartphone addictions, depression, and anxiety. “The increased GABA levels and disrupted balance between GABA and glutamate in the anterior cingulate cortex may contribute to our understanding the pathophysiology of and treatment for addictions,” said Seo. Is there any good news here? Happily, yes. The teens who had cognitive behavioral therapy showed improvement in their GABA to Glx ratios, which decreased and in some cases, even became normal. Those were the teens who were formerly identified as smartphone or internet-addicted! The cognitive behavioral therapy undergone by the teens in Seo’s study had 75-minute sessions of mindfulness exercises, once weekly. The exercises included learning to recognize the impulses that drive them to use technology; finding healthy substitute activities; and expressing their emotions. The moral of the story? It’s possible to wean a kid from his or her smartphone. One can, moreover, counter the bad effects the smartphone has on a teenager’s brain. But it’s probably not a good idea to wait.